Yoga Class is a funny place to travel. You’re in athletic-wear, but you don’t need sneakers and it’s not really the same kind of athletic-wear that you would sport, say on your way to spinning. And since the sneakers aren’t mandatory, you’re really blessed with endless possibilities in the shoe department. Now listen, I’m not saying you shouldn’t wear athletic sneakers to Yoga class. Maybe you want to run there (I’m too lazy for that, but good for you). And they’ll look perfectly appropriate, as you’re wearing matching clothes after all. But yoga has its own style. You’re not wearing shorts and a t-shirt. You’re wearing sleek leggings or flowing fold-over pants, or tiny shorts if you can pull them off. I cannot. With leggings (cropped or full-length): A ballet flat always looks delicate and feminine. Hence, the All Black Woodstock flat. With a wide-leg yoga pant (full-length): A moccasin is in keeping with the peaceful tone of your practice. They’re of the earth. You could be taking a vinyasa on a riverbank. 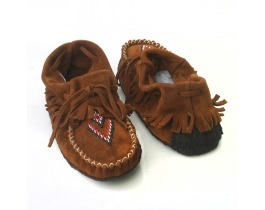 Try the Manitobah Trapper Moc. With wide leg yoga pant (cropped): These are the most athletic-looking pant in the yoga-wear family. 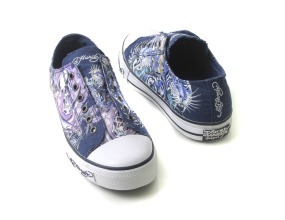 A stylish sneaker like the Ed Hardy Low Rise Dubai completes the look. With tiny yoga shorts (short): A big boot is an adorable contrast and warm feet will enable you to walk around with bare legs even when it’s not warm out. Additionally, wearing bulky boots is always a great way to make your legs look tinier, not that you need to! Pull on the Australia Love Short Nomad. P.S. Barefoot Tess is offering 25% off for the rest of the day (a few exclusions apply). So you can get your cute yoga footwear on sale! Use code ‘CYBER’ at checkout!